Provisions Holiday Baking: CHRISTOLLEN giveaway! Preserving traditions from all over the world is what Canada is great at right? And we do it best through the food in our cities. There’s a reason they call us a cultural mosaic. WE RADIATE DIVERSITY and we are damn proud of it! This week, we decided to celebrate the holiday season by making traditional German Stollen, or as they call it, Christollen (after Christ). 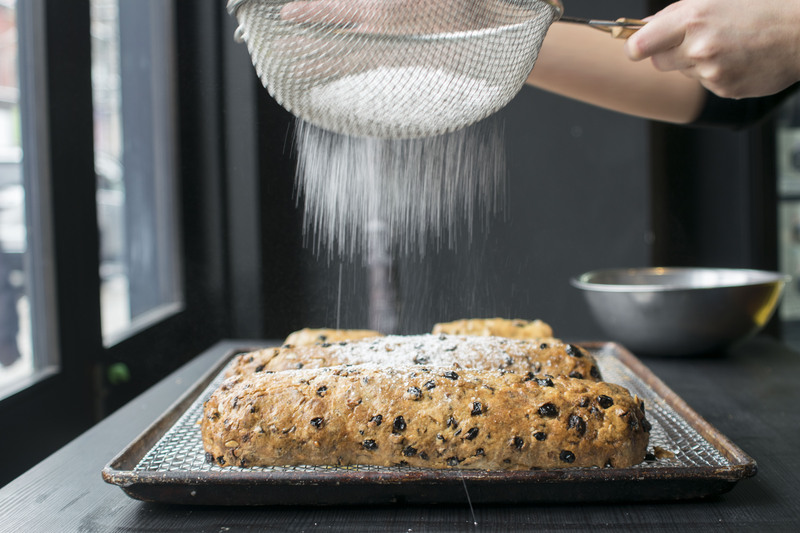 If you’ve never heard of Stollen before (as I hadn’t) it is a deliciously dense, sweet, nutty, and fruity bread filled with aromatic marzipan and dusted with a lovely coating of icing sugar a.k.a. *snow*, that rrreally gets you in the spirit of the season. It’s superior to fruitcake, without any of the oddly fluorescent, way-too-candied ‘fruit’ (or lack of it). 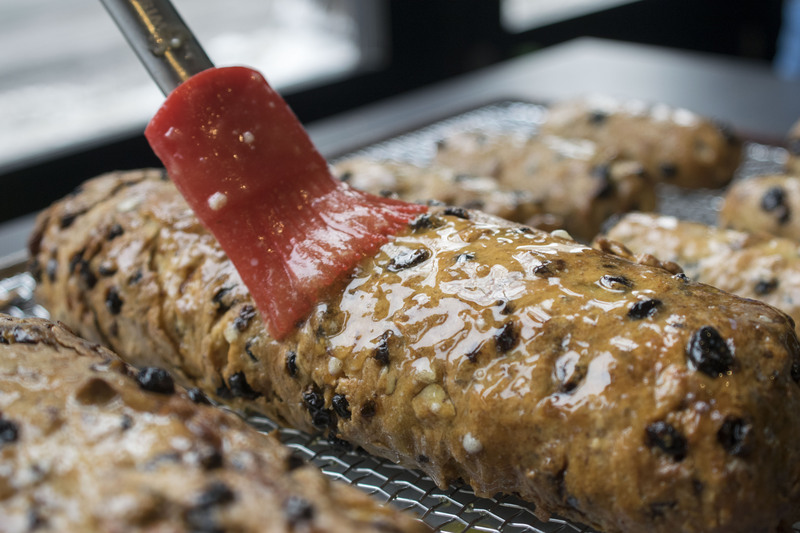 Stollen dates back to the 15th century and was originally designed to represent a swaddled baby Jesus (how cute). The OG recipe consisted only of flour, yeast, water, and oil, without any of the God-forbidden butter and spices that it has today. 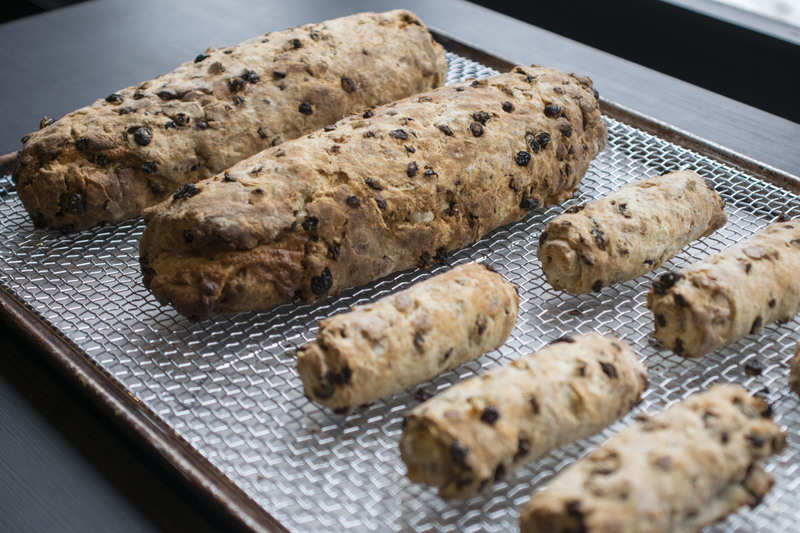 Stollen was created during a time of fasting and spices were especially hard to come by at that time. We live in a new age. 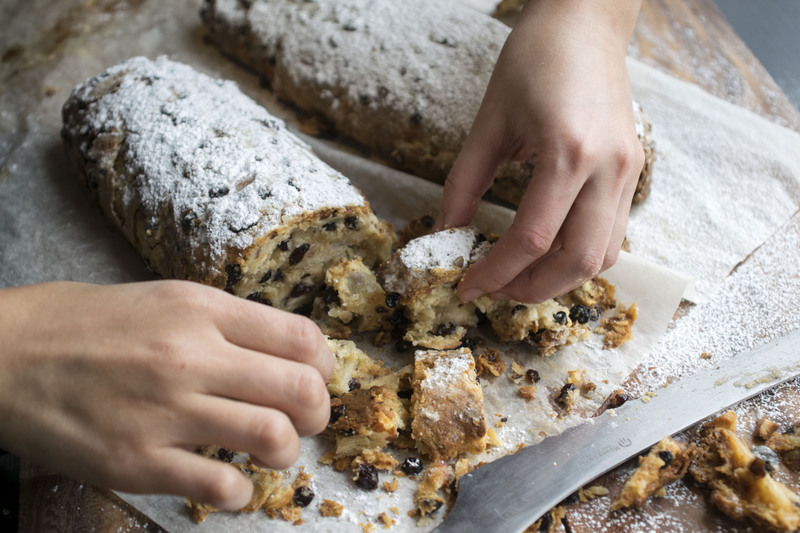 Even if you aren’t Christian, Stollen is a tasty treat to make and share with your loved ones this year! You can also check out our Instagram Stollen giveaway, as you may be the lucky fella to have a Stollen or two delivered to your door (TO peeps only). Serve as is, with butter, clotted cream, and/or jam, and enjoy with a hot cup of tea or glass of brandy. Cozy up in front of that fire and you’ll achieve maximum Hygge. From the Provisions team to you, Happy Holidays everyone! 1.Line a baking sheet with parchment paper and preheat oven to 325 F.
2. 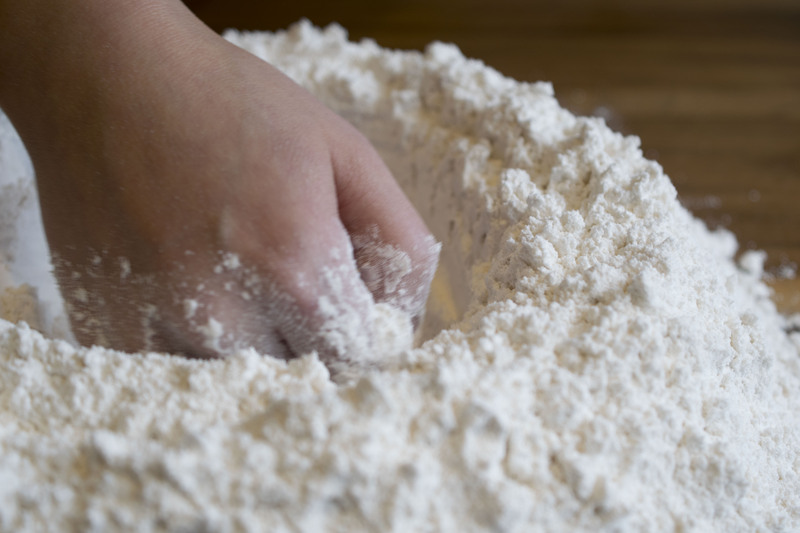 In a bowl, whisk flour and baking powder and pour onto a clean worktable. 3. 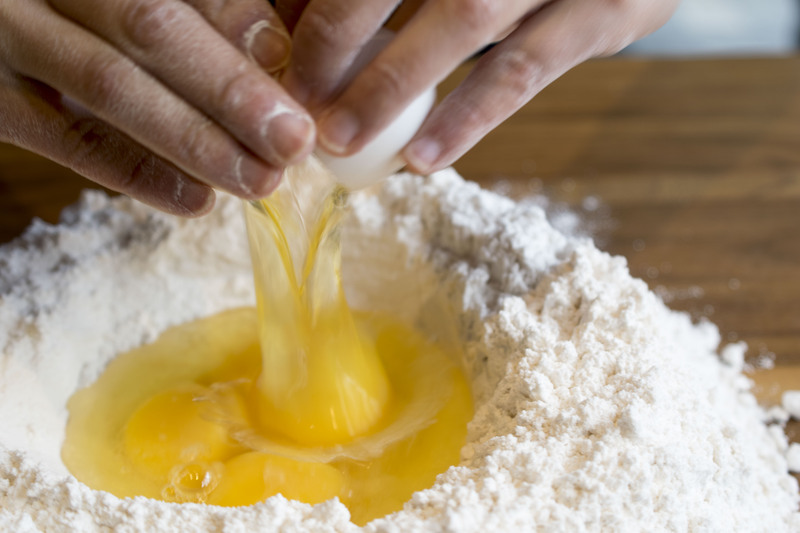 Make a well in the flour mixture, crack eggs into the well, and add sugar, extracts, rum, and spices. Combine wet ingredients with a fork in the well. 4. 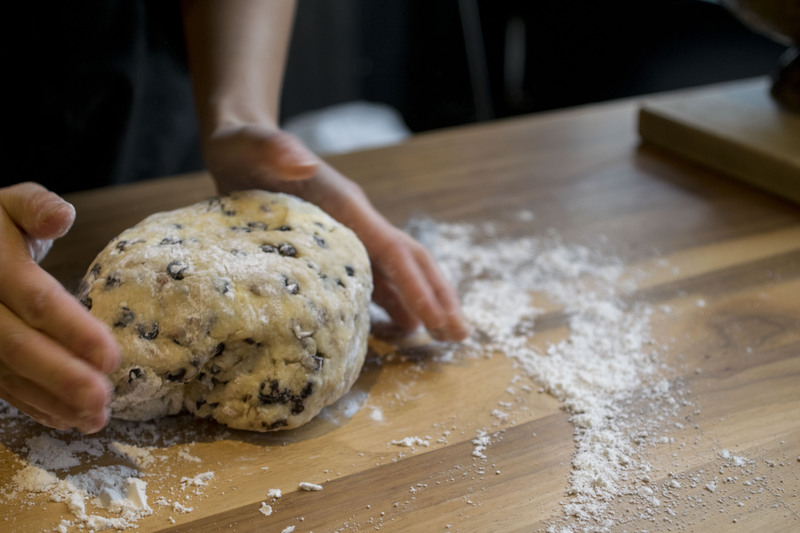 Add butter, cream cheese, nuts, and blackcurrants, and with your hands, incorporate the flour from the outer ring into the centre. 5. 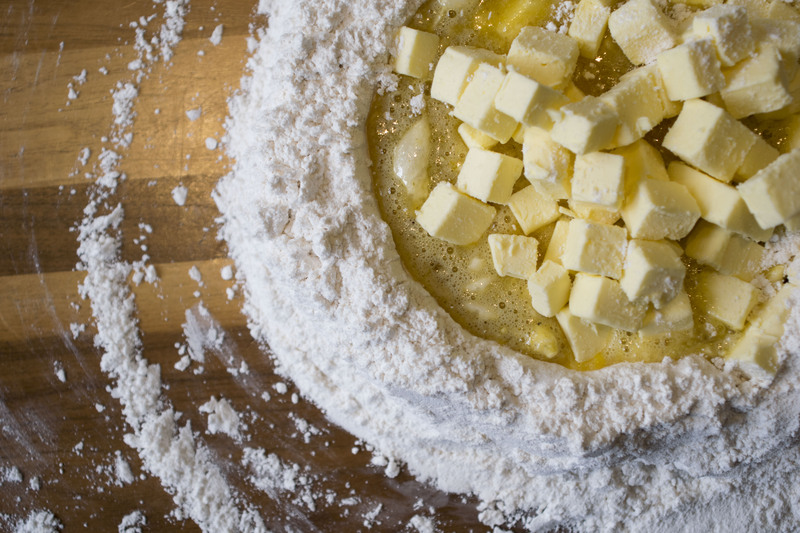 Knead dough until a ball is formed. Divide into 4 equal pieces. Dust surface with flour and roll out into 1-cm thick sheets. 6. 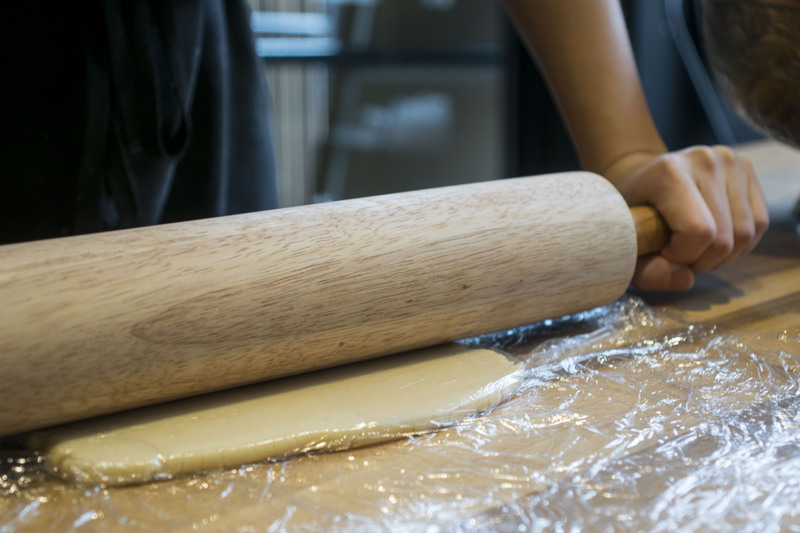 Roll marzipan into a 1/2 cm thick sheet. 7. 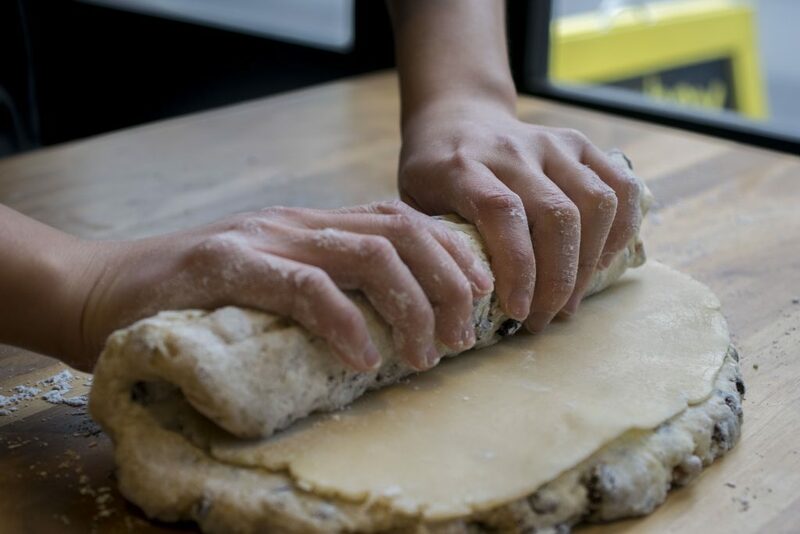 Place marzipan sheet on top of dough sheet, and roll inward into a log. Fold in sides if you desire. 9. Brush melted butter onto cooked Stollens and sprinkle icing sugar generously.